The essence of The Benefit Company is to be a steward for our clients and provide them with state-of-the-art benefit solutions best suited for their most important asset, their people. Our private and independent ownership delivers a distinct competitive advantage. We pursue long-term outcomes over quarterly results, and we empower our team to be decisive in delivering nimble client solutions. Be trustworthy and authentic. Listen. Focus on the needs of customers. Have a stewardship mindset. Be passionate and positive. Be caring. Collaborate. Serve others and each other. Be available and approachable. Deliver to clients, employees, and co-workers thoughtful results in a timely manner. Be first and results oriented. Anticipate client needs. Show a bias for action. Embrace challenges. Be teachable and knowledgeable. Inform clients. Show foresight and build a client’s future. Be unique and original. Challenge the status quo. Do the right thing, always. Harness new ideas. The Benefit Company is an employee benefit consulting firm aligned with the best interest of our employer clients and their employees. Recognized by The Institute for HealthCare Consumerism (IHC) as the Most Innovative Broker in the U.S, we are passionate about challenging the status quo – choosing the harder right over the easier wrong. The genesis of The Benefit Company dates back to 1968 and continues to be independently owned. Our private ownership is a meaningful differentiator, providing a mindset of investing in long-term strategies aligned with our client’s best interest. We believe the healthcare system and payment models in the U.S. are broken. The employer is the primary stakeholder in the process focused on controlling costs, and their ability to manage this key budget item is constrained by misaligned partners, limited transparency of data/reporting, and less than engaged employees. The Benefit Company has perfected the use of healthcare analytics to drive transparency, efficiency, and accountability to drive down your healthcare cost trend without losing precious employee benefits. Having told me that you really go the extra mile for your clients and their employees, you are a wonderful illustration of ‘practicing what you preach! Please let The Benefit Company team know we consider this year’s process a job well done! National Knowledge with UBA. Local Presence with TBC. 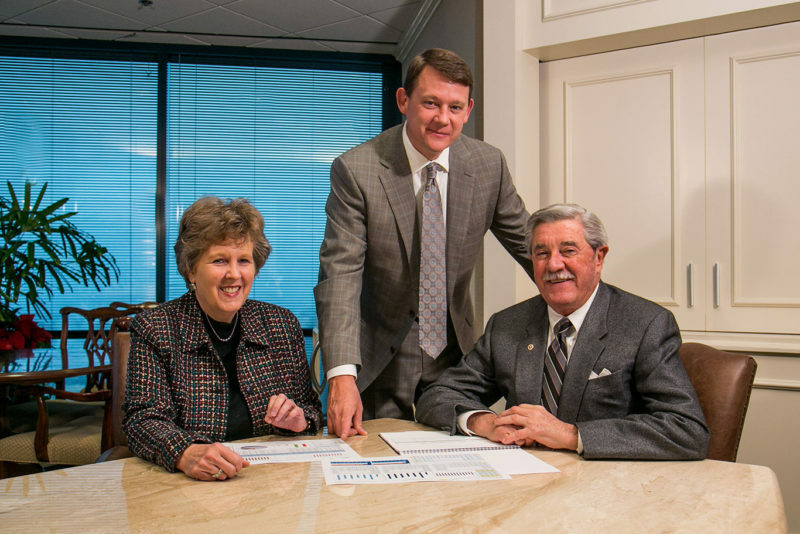 In 2001, TBC became a Founding and Charter Partner of United Benefit Advisors. With more than 2,200 associates in offices throughout the U.S., Canada and Europe, our people and resources combine diverse talents, seasoned experience, innovative technologies, and strategic partnerships. Largest employee benefit benchmark survey in the U.S.
Our independently owned partners in 45 States and other international locations are committed to serving the client’s best interest, free of the demands of Wall Street. With partners in all major U.S. Cities, local market expertise is available for our multi-State clients. 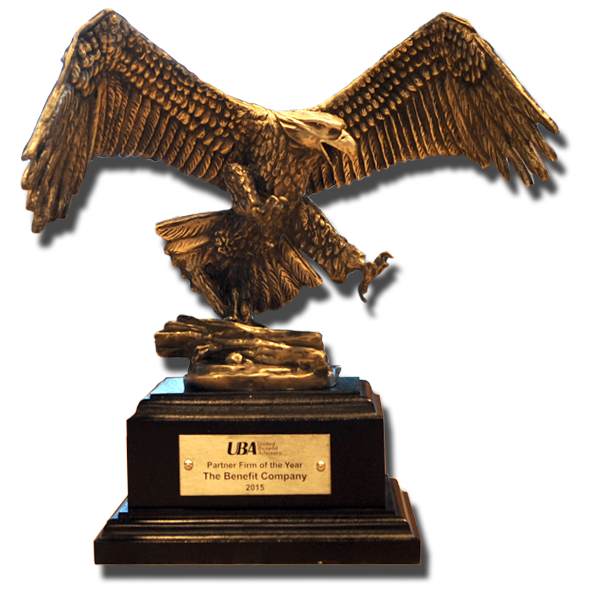 The Benefit Company is honored to have been named UBA’s Partner Firm of the Year for 2015. 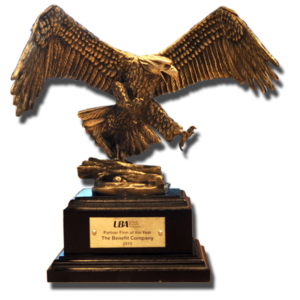 This award is voted on by partners and recognizes the firm who best exemplifies the UBA spirit of innovation, quality of work, professionalism, and contributions to programs that enhance business practices for the greater good of the organization.